If you follow me on Twitter, you know that on Friday I tweeted about my newest venture. Together with the brilliant Lindsay from Little House Blog and the talented Shannon from What's Up Whimsy, I'm proud to announce the launch of BlogPodium, a series of conversations on blogs, brands, and design. BlogPodium arose out of some conversations Lindsay and I had. We had been to a few blogger meetups and while we loved getting together with our community and meeting new bloggers, we were left wanting more. Having been at this blogging thing for 4+ years now, I was craving more - more information on how to make my blog better, more education about sponsorships and SEO, more knowledge about working with brands and media. And we thought there may be other bloggers that are craving more too. Some of us are new to blogging. 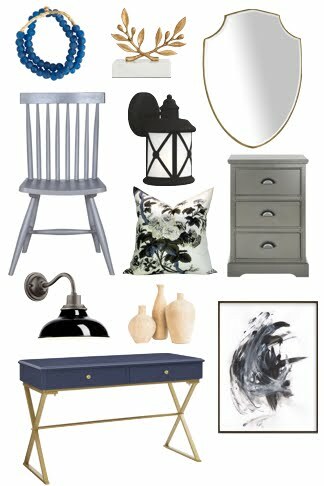 Some of us are trying to use blogging to propel our careers - in interior design or event planning or etsy selling - and other design-related businesses. There are a wealth of things we could be talking about. And while our American blogger friends and our mommy blogger friends had conferences of their own, there was nothing decidedly Canadian out there for design bloggers. Until now. "Conversation, collaboration, connection... At BlogPodium, we believe in the power of conversation (after all, isn’t that what a blog is all about?). We will bring bloggers and industry experts from shelter magazines, design television, and social media together to talk – because great things can happen when we do! Through our quarterly conference series, we aim to educate and empower our bloggers and deepen our relationships within the design community." That's our mission. 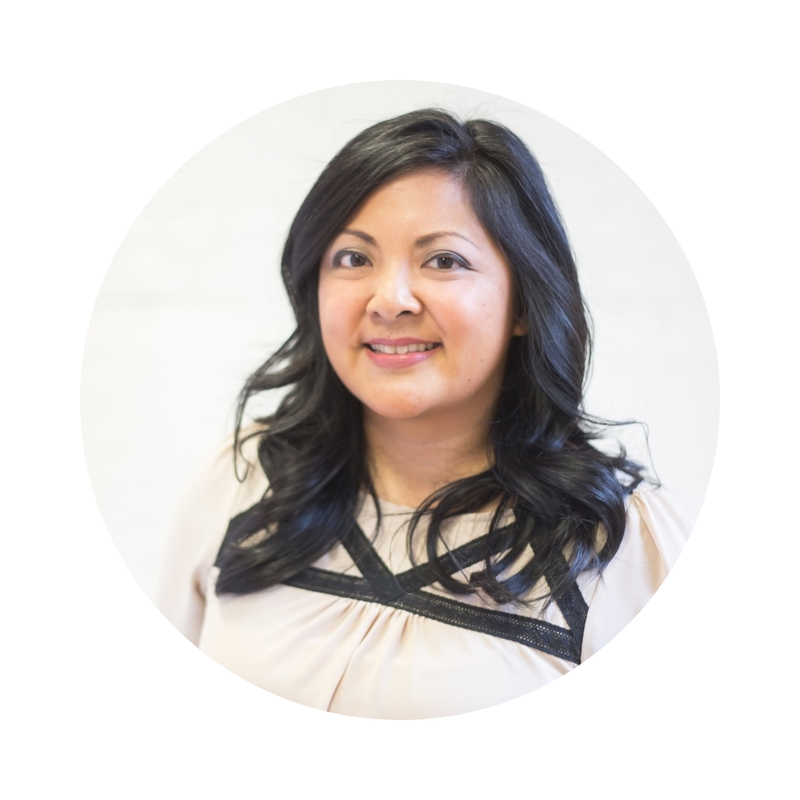 I feel so fortunate that we have a thriving and accessible design community here, with numerous design TV shows, many talented designers, and our great magazines Style at Home and Canadian House & Home headquartered right here in Toronto. Why not expose these folks to bloggers and vice versa? The first BlogPodium event will be on Trade Day at the prestigious Interior Design Show, Canada's largest contemporary design fair, making it easy for bloggers to connect directly with other media and the design trade. 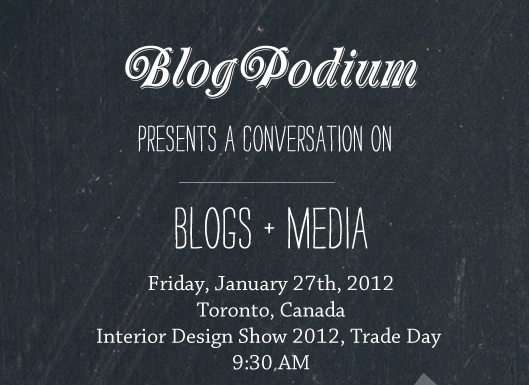 BlogPodium @ IDS is well worth making the trip into Toronto for, my east coast & west coast friends! Exciting times ahead. Check out BlogPodium and let me know what you think. I hope to see you at our first event!